Spring is often referred to by animal rescue groups as kitten season, for a good reason. Every spring animals rescues and shelters are flooded with kittens. TNR programs are also flooded with kittens that need vetting and socialization, when possible. So why not throw a Pet Baby Shower Fundraiser for your local rescue group as kitten season hits. 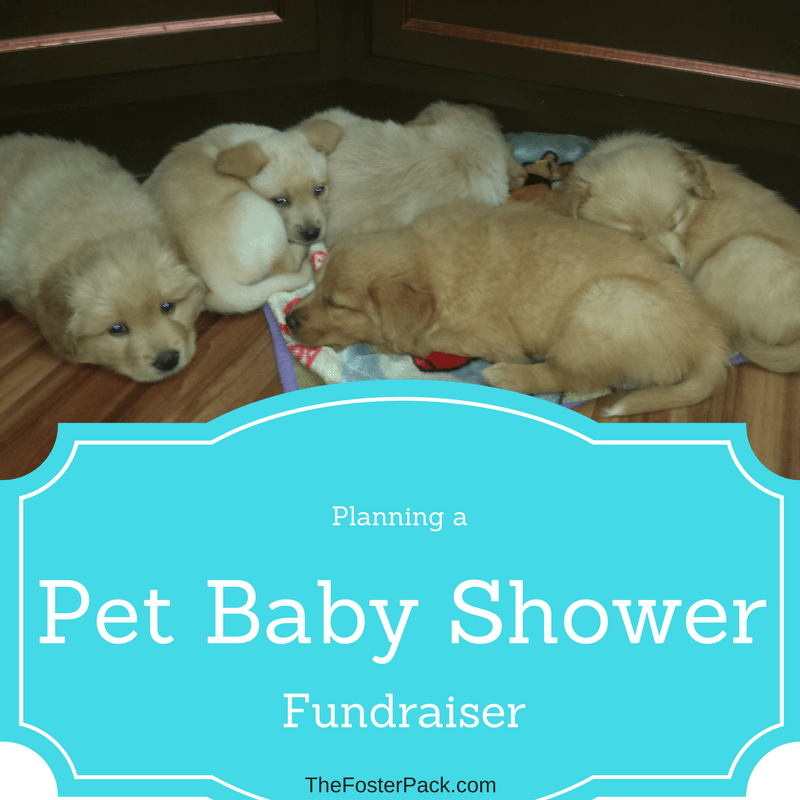 Your Pet Baby Shower Fundraiser can be an adoption event and introduction to your foster care program too. As with every event fundraiser, you’ll need a venue to hold your Pet Baby Shower fundraiser at. If the weather is warm enough in the spring where you’re located, this could even be an outdoor event. If it’s still pretty chilly, you’ll probably want to hold it indoors. Advertising! Make up posters, and digital ads, and post them everywhere animals lovers hold out. You can even send baby shower invitations to your regular supporters and volunteers. Don’t forget to take advantage of free advertising on your group’s social media sites. Facebook and Twitter are great for promoting your animal rescue groups fundraisers. Ask for both supplies for the new litters of babies that will be arriving soon, and for monetary donations. Sometimes it’s just easier for some donators to just give money, instead of going shopping. Line up volunteers to help with the event, the day of. And for preparations beforehand. Make some snacks, decorations. Don’t forget to plan some baby shower games to get your guests involved. And have information available on your group’s animal fostering program. It’s a great time to recruit new foster families. We all know that we can never have enough families willing to foster rescue animals. If your animal rescue group already has litters of kittens or puppies, and they’re old enough, bring them to the event. Don’t forget to advertise the fact that they’ll be there. Babies always draw a crowd. Use [amazon_textlink asin=’B00377WL46′ text=’playpens’ template=’ProductLink’ store=’fosterpack-20′ marketplace=’US’ link_id=’52364668-460c-11e7-805b-edb87b6d4da6′] to contain them. Use at least [amazon_textlink asin=’B071J437KS’ text=’36” high exercise pens’ template=’ProductLink’ store=’fosterpack-20′ marketplace=’US’ link_id=’8f519666-460c-11e7-97e4-2fc004176c49′] to keep people from leaning over to reach in the pens. And hang signs asking that they not do it. Have some music, if you can get a DJ or band to volunteer their time, and turn it into a party. Use your imagination, your pet baby shower fundraiser can be anything you want it to be. A Chinese auction, reverse raffle, 50/50 drawings, are more options you can add to your pet baby shower fundraiser. The more activities, the more money you’ll bring in to help with kitten (and puppy) season.